John Charles Ryle (1816  1900) was the first Bishop of Liverpool, England. Throughout his period in office Ryle was respected by his colleagues to the extent that even one of his most strident opponents broke down and wept at the news of his death. He was able to master the difficult task of being firm in his beliefs and loving in his application of them. His gracious spirit is an example to us today. This is probably why many of Ryle's writings have been continuously in print for over 100 years. Here Ryle explains that divisive, often derided (and misapplied by advertising) term 'born again'. He explains what being 'born again' means, why it is necessary and how you can tell whether you are. Much of the value of this publication, though, lies in what Ryle writes next. In his gracious yet firm way Ryle devotes the majority of the book to explaining how the objections people have had to the doctrine should be handled and overcome with gentle persuasion. It is a supreme example of the art of persuasion. Regeneration by J C Ryle was published by Christian Focus Publications in November 2007 and is our 29302nd best seller. 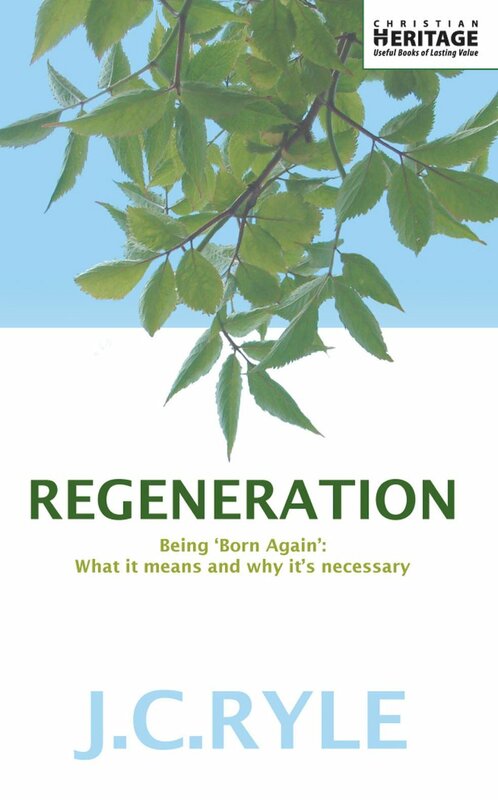 The ISBN for Regeneration is 9781857927412. Be the first to review Regeneration! Got a question? No problem! Just click here to ask us about Regeneration.